All around the world, governments have sought to expand their range of powers over the lives of their citizens, and in several nations, they have actively undermined the influence of religious institutions over people’s lives, as well as undermining the institution of the family. During the early to mid-20th century, religious observances were banned in communist states such as Russia and China. In western nations, government welfare programs replaced charity programs that had previously been the domain of religious institutions. State welfare programs effectively undermined the institution of the traditional family, where children were raised by a mother and a father along with the assistance of an extended family. During pre-welfare times, extended families were common and included grandparents as well as uncles and aunts. Extended families could provide for the emotional needs of young children and provide assistance to the biological parents who sometimes need a break from the ongoing needs of their children. In an extended family, relatives could also often provide emotional support for a family member who may have experienced a setback. The mission of most religious institutions supported families and their ability to nurture the development of the younger generation as they evolved into self-reliant and responsible adults. It is of course terrible that a percentage of the clerics of some religious institutions abused their power and harmed some of their devotees. However, most faiths provide for the spiritual needs of adherents, actively encouraging them to seek spiritual strength from a higher power through prayer and meditation. The scriptural texts of several faiths encourage adherents to “ask only for spiritual gifts” in their prayers. State welfare programs directly and indirectly encourage recipients to feel helpless and dependent on those programs for their salvation. From this perspective, the state assumes the role of a higher power that offers welfare programs, and these programs have supported the emergence and social acceptance of single-parent families living in subsidized housing communities. Gangs are present at a significant percentage of social and subsidized housing communities and serve as extended families for young boys. While a portion of the population embraces government welfare, another segment of the population rejects the welfare state and instead chooses to be productive, self-reliant and independent. Most productive and self-reliant people exhibit spiritual tendencies and may adhere to a religious faith, including attendance at some form of frequent religious observance. 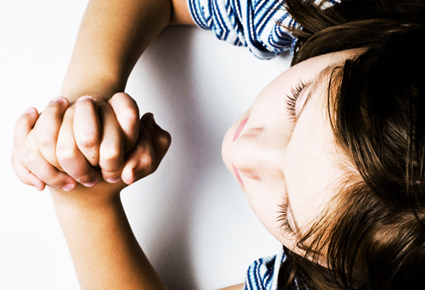 Many of them may say prayers that include such statements as, “I believe in my ability to succeed at _____” or “I am capable of solving this problem” or “I look forward to taking on this challenge.” On some level, they believe in their ability to succeed at a challenging task and achieve something worthwhile from which multiple people may benefit. "State welfare programs directly and indirectly encourage recipients to feel helpless and dependent on those programs for their salvation. From this perspective, the state assumes the role of a higher power that offers welfare programs, and these programs have supported the emergence and social acceptance of single-parent families living in subsidized housing communities." Many productive people may have been exposed to inspirational people or inspirational literature during their younger years. The classical stories from ancient Greece told of heroic archetypes who took on seemingly overwhelming tasks and prevailed in the face of almost insurmountable odds. These stories suggest that in the face of adversity, seemingly ordinary people might be capable of extraordinary feats. The central characters in these stories may seek help when facing an overwhelming challenge or setback, turn to meditation or prayer or listen to inspirational music to calm their minds. In real life, productive and independent people do likewise. Much evidence suggests that an agitated mind is unable to solve problems, while a calm and relaxed mind can generate possible solutions to problems. During the early years of communism, Lenin and later Stalin closed religious institutions to separate the population from a source of spiritual help that could calm an agitated mind, allowing people to think clearly to solve problems. The collapse of soviet communism revealed long-suppressed spiritual and liturgical music composed by Russia’s grand masters such as Rachmaninov and Tchaikovsky. They composed choral liturgical music with a slow and peaceful tempo that can calm an agitated mind and provide a reflective state to help people become creative and develop solutions to their problems. Rachmaninov composed a slow tempo version of the Ave Maria plus other titles such as Bless the Lord, O My Soul and Liturgy of St John Chrysostom that some listeners find extremely calming and inspirational. Tchaikovsky composed a version of Liturgy of St John Chrysostom and Hymn of the Cherubim and several pieces of very calming liturgical choral music. The choral-liturgical pieces of both composers are available on YouTube, as are many other inspiration works from a variety of faiths. In some faiths, inspirational poetry and meditative chants are sung at a slow tempo and serve to calm a listener who may feel emotionally or spiritually depleted. Some listeners may not understand the language in which the poetry or meditation is being sung. However, the tempo of the music can often impart a calming effect and provide an inspirational effect that enhances the ability of the listener to do creative work that requires thinking. There are times in everyone’s lives when they face setbacks and discouragement and need others’ help. Sometimes the help may be spiritual or psychological in nature and empower or inspire an individual to persevere and struggle through adversity as they seek to solve whatever problem or challenge they face. When they succeed, they may feel more self-reliant and more confident in their ability to deal with adversity. Many governments around the world have at various times in their history undermined the influence of spirituality and religion in their citizens’ lives. The so-called socialization process that prevails at many state-run schools seems aimed at fostering a dependency on the state instead of the development of an independent and self-reliant citizen.